2014 was a vicious winter in Shetland. Storm after storm, day after day. It was unrelenting. 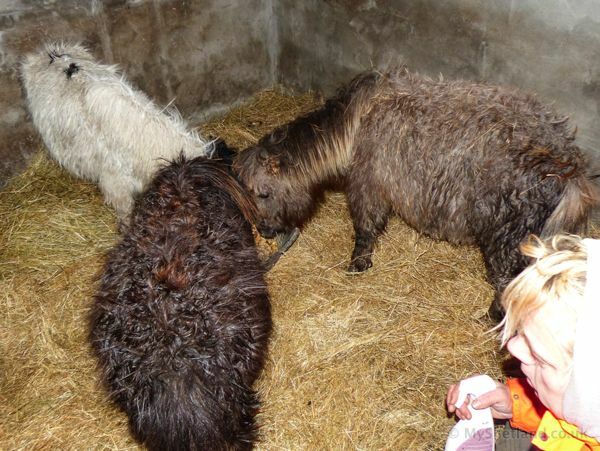 The SSPCA phoned saying they had 19 Shetland ponies that urgently needed rehoming. I said “no thank you”, but I could offer assistance in moving them. 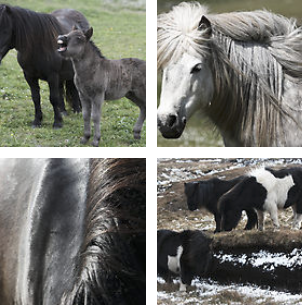 The day after Up Helly Aa (last Tuesday in January), the majority of ponies were moved to a new field but we were left with three small starved yearling foals with no place to go. 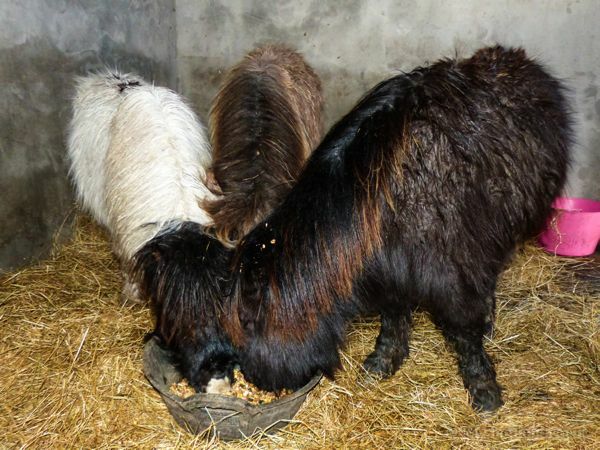 So, I offered them a shed and nursing care until they could be returned to their original breeders. Their condition was very serious. It was touch and go whether they would survive the night let alone the week. I was warned they may die. So that is how Storm, Silver and Waffle ended up living with me. While boarding, they captured my heart and have stayed every since. They are collectively known as The Minions. The Minions survived their terrible ordeal and were growing up to be happy little boys. However, three is never a good number and Storm was being left behind. He missed having a special buddy. I could see that. 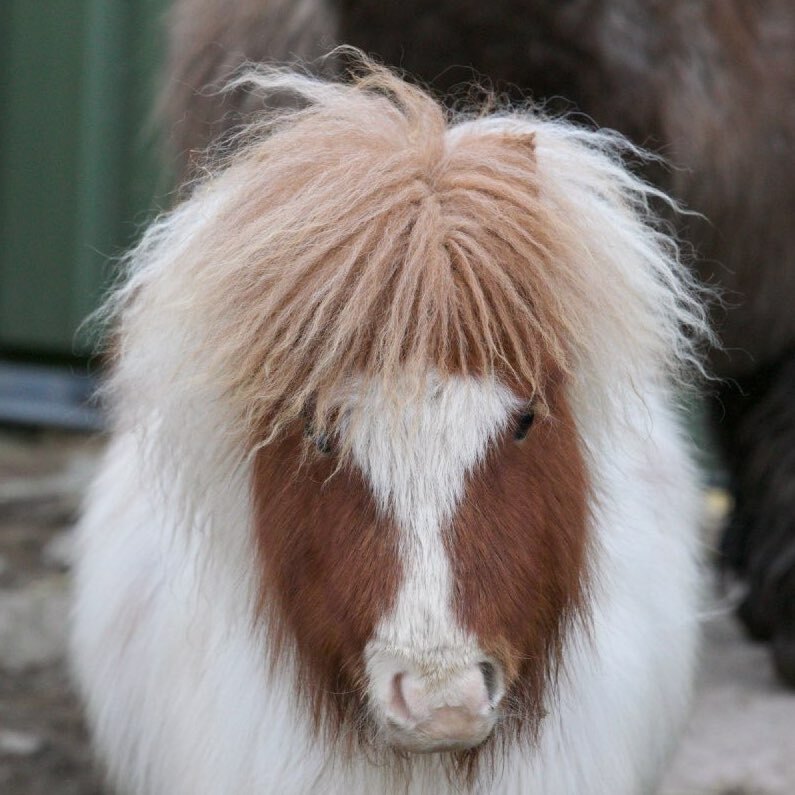 I mentioned the problem to a friend who had just rescued a Shetland pony from being put to sleep because it had a blue eye. 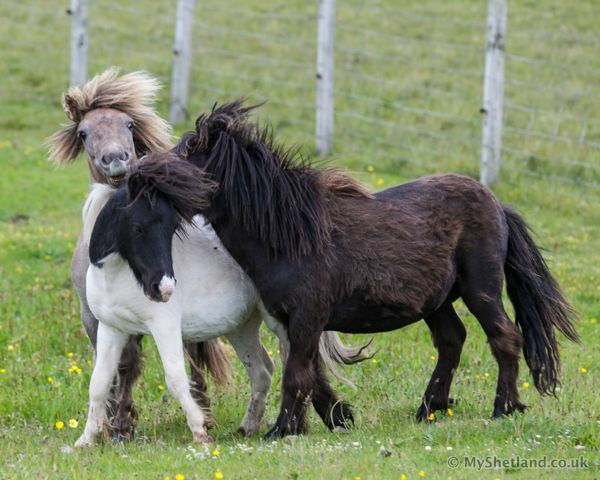 Apparently this is a heinous crime in Shetland pony breeding. And so Tiddles arrived, depressed (allegedly weaned early), miserable and looking very serious. Storm immediately took to his new friend and now they were a cosy four! 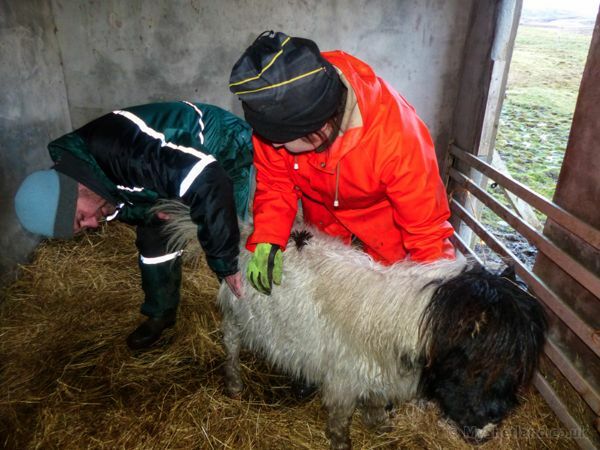 Life is seldom simple and in 2016, an orphan foal needed a temporary home. 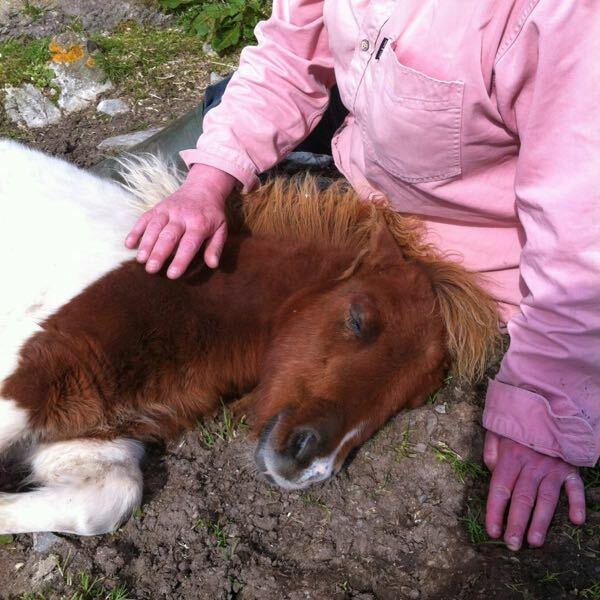 Albie arrived within the hour to be bottle fed and then, once weaned, sold at Auction. Well, that was the plan anyway. Obviously, he stayed because he needed his “Mum”. Five little Minions now. Albie was doing well, settled and happy, though much younger than everyone else. 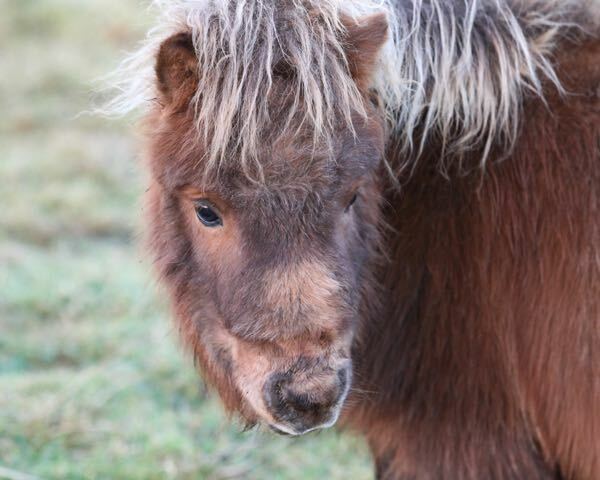 A desperate “free to a good home” plea on Facebook – et voilà, meet all 25” (75 cm) of Newt. Albie needed a friend his own age and ok, I couldn’t say no. It made sense. 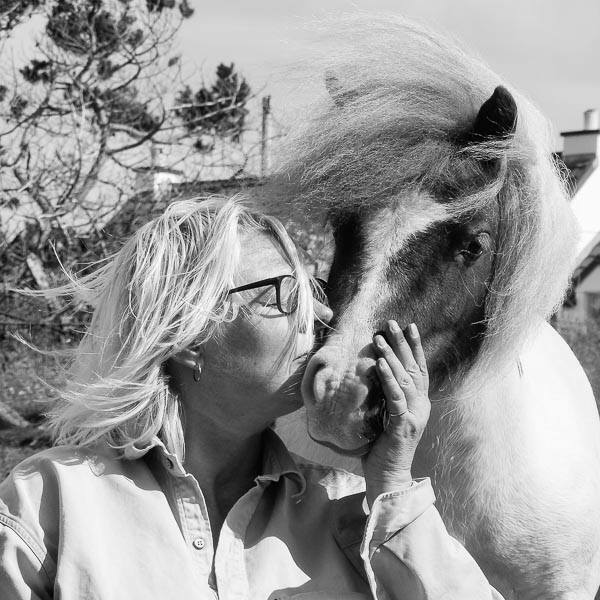 I believe ponies should have the most natural and best life as possible. The Minions are my responsibility, and always will be, but any donation you can give, would be hugely appreciated. They may be small, but they are not cheap to keep!